Animal Accident & Emergency is seeking applications for a full time veterinarian. We are seeking applicants with experience in emergency and critical care. 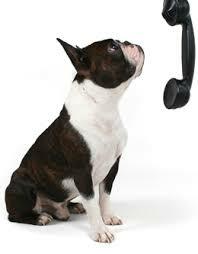 Animal Accident & Emergency operates 24/7 at two locations. The position will involve shift work at both emergency centres. Our centres are fully equipped and would suit applicants looking to further their career within emergency and critical care. You should be motivated, communicate well and have the ability to teamwork. You must also display a commitment to continuing education and willingness to learn. We believe in a team approach with a supportive environment. 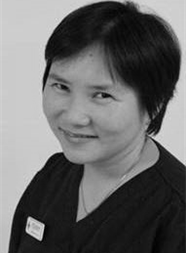 Our Medical Director is a Registered Specialist in Emergency and Critical Care. The ideal applicant would have Membership in emergency (ANZCVSc) or preparing to sit for membership within the next 12 months. Applicants with less experience will be considered. Employment is shift based, with rotations involving day, night, weekend and public holiday shifts. The average working week is 37.5 hrs. Please send applications to jobs@animalemergency.com.au Applications will close on the 27th June 2014. A caesarean section is a major surgical procedure used to deliver babies when normal birth isn’t possible. This is done by surgically entering the abdomen to remove the babies directly from the uterus. While caesareans are sometimes needed for cats, they are a lot more common with dogs, especially particular breeds such as bull dogs. However, birth complications are life threatening to all mothers and their offspring when delivery isn’t progressing normally, regardless of species or breed. Therefore, pets experiencing birth complications may be in need of a caesarean and must be taken to a 24 hour vet clinic immediately for emergency surgery. In most cases, pet owners won’t be aware that their pet is in need of a caesarean until they begin giving birth. When your pet is pregnant and close to giving birth, it is important to keep a close eye on them, especially during the delivery, and be at the ready to take them to a 24hr animal hospital in an emergency. A caesarean section will normally take between 1-1.5 hours by an experienced emergency veterinarian and then a further 1-3 hours for recovery in a pet hospital. During the surgery and post-operative care, your pet will be closely monitored and administered anaesthetic, pain relief, IV fluids and antibiotics. Puppies/kittens will also be closely monitored to ensure they are suckling well and kept clean, dry and warm. Generally within a few hours after surgery, your pet and her new puppies/kittens will be discharged to return home. It is important to allow your pets to have some time alone together to feed and bond, while still keeping an eye on them. Pet owners should also remember to bring their pet in for a veterinary check-up 1-2 days after surgery, and stitches will need to be removed in 10-14 days following surgery. Your vet will be able to instruct you on any additional pet care required and schedule an appropriate time to begin vaccinations and worming treatment (usually between 3-6 weeks after birth). Animal Accident & Emergency have two 24 hour Animal Hospitals in Melbourne, which are ideally located in Essendon and Point Cook and both with easy freeway access and amble parking. Our emergency vet clinics operate 24 hours a day, 365 days a year (including public holidays), and offer all the latest equipment and state of the art technology, as well as a 24 hour intensive care unit. Our dedicated team of emergency vets and nurses provide the highest standards of emergency vet care, critical care medicine and surgery, and are experienced in treating all emergencies from right across Melbourne, Geelong and Ballarat. So when you bring your pet to Animal Accident & Emergency you can rest assured that your pet will receive the best and most advanced vet care available. Animal Accident & Emergency is a full service Pet Emergency and Critical Care Centre. We are open 24/7 and often receive patients from Albert Park. As a Melbourne Animal Hospital we will care for your pet if they are sick or injured. Our team includes Specialists in Internal Medicine and Emergency and Critical Care. There is easy Access from the freeway and plenty of safe parking. We are not just open after hours, we are a 24 hour vet hospital that specialised in Emergency and Critical Care. Two great locations: Essendon Fields and Point Cook. 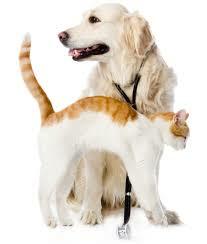 Animal Accident & Emergency is a full service Pet Emergency and Critical Care Centre. We are open 24/7 and often receive patients from City of Port Phillip. As a Melbourne Animal Hospital we will care for your pet if they are sick or injured. Our team includes Specialists in Internal Medicine and Emergency and Critical Care. Animal Accident & Emergency is a full service Pet Emergency and Critical Care Centre. We are open 24/7 and often receive patients from Coode Island. As a Melbourne Animal Hospital we will care for your pet if they are sick or injured. Our team includes Specialists in Internal Medicine and Emergency and Critical Care.